Etisalat Nigeria is out with this one again, this is meant to reward their customers for their patronage, unlike other post on this blog, this is not a cheat or tweak but its a reward to their customers. So you need no VPN to be able to flex the 200MB . 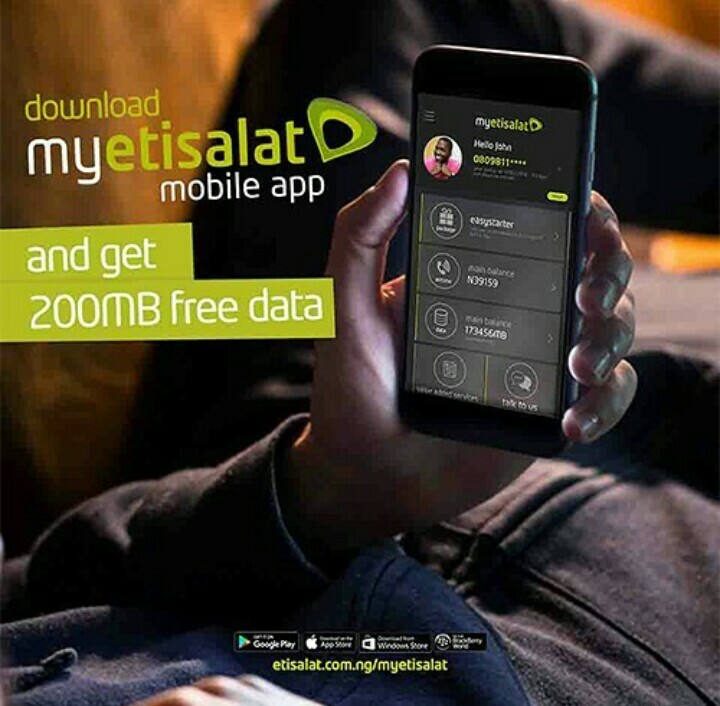 As announced on their official instagram page, 200MB will be rewarded to any Etisalat user that download their MyEtisalat App and register. Cool right ?. This 200MB can be usable on all device and works on all applications. • Simply download the MyEtisalat App for Android here Or For IOS users here . •Lauch app and create an Account and set up you Etisalat number. • After setting up an account , wait for 24hrs to receive your free 200MB, dial *228# to check data. Note: Don't uninstall the app while still expecting you MB . Note also that if you set up you account on a weekend your MB will be sent to you on working days . Nice market strategy from them. Please Emmanuel, the Ads are kinda scaring me away! Especially the pop-downs. Could you please do something about them? Thanks Samuel.. do you mean the info links ads?